Every parent wants to have a healthy child and this can be achieved through a healthy diet and one other very important lifeskill, exercise. Children have a magical container filled with energy that sometimes can be overflowing. We need to expel that crazy energy somewhere, so why not do it with Jazz. 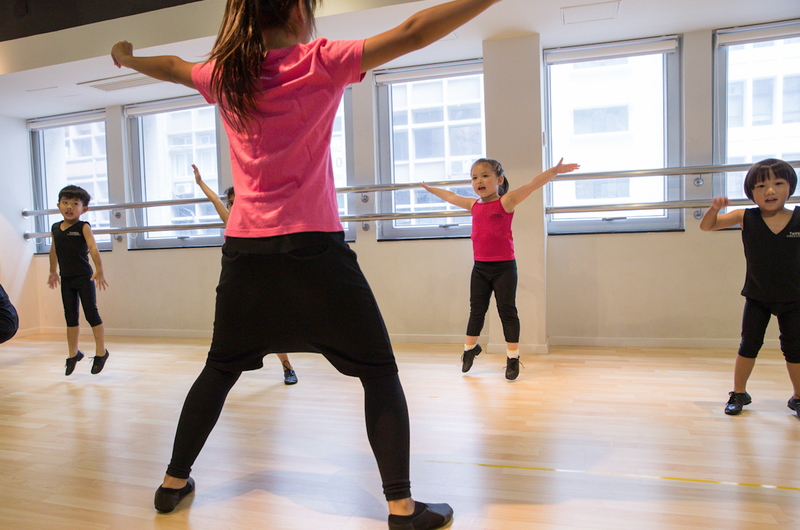 Jazz is a fun and exciting way to get your little ones moving about, increasing both their strength and flexibility. It is known for its funky music where children can explore and be creative with their own movement. Jazz is a perfect platform for children to discover and develop their own styles, maybe your child will be the creator of the next moonwalk! They will start to boogie around as soon as they hear any song with a beat! Who knew exercising could be so fun! The upright posture of jazz is a fantastic way to help with children’s body alignment. Some children feet roll in or out which may cause future knee problems. We ensure that our dancers are performing each exercise correctly as it will strengthen the right muscles to avoid these injuries. Jazz also helps with improving children's sense of balance, co-ordination and spatial awareness. Not only that there are many jumps, high kicks and leaps in jazz, which is great for getting their heart rate up. It will help improve such things as stamina, cardiovascular health and endurance. Also children will learn how to control their bodies physically, hopefully they will stop falling about so much. Our Twinkle Dance classes aim to achieve all of the above by using one of Australasia’s best dance program's, Jazz Addict. It involves the technicalities of Jazz in a fun and playful manner. It also involves musicals where children learn how to express themselves through song and movement. You will then see how a small change of facial movement can create a completely new story, revealing different aspects of their personality that you never knew existed. Come and join us at Twinkle Dance! Book for trail class now and let your child discover how to exercise with jazz!